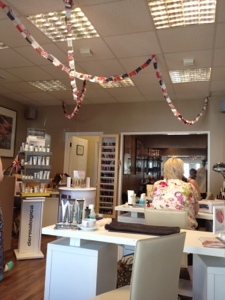 Mrs Bishop's Bakes and Banter: Summer Pampering!! What a beautiful weekend it has been! Liam & I headed back to my folks house in Surrey, and spent the weekend catching up with everyone & enjoying the glorious sunshine! I had a very naughty day Saturday, full of pampering & shopping. 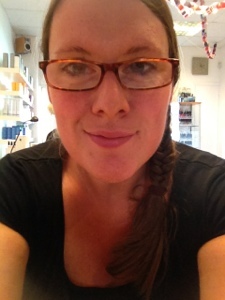 (Lucy Heaven) ... My lovely cousins own/work in a gorgeous nail & beauty Salon in Crawley, West Sussex... so me, my mum & my twin sister headed down there together for the afternoon! 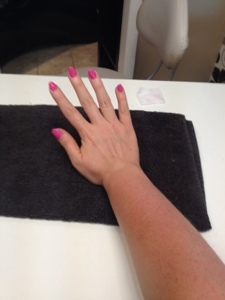 I had a full body St Tropez Spray Tan, and a Shellac on my finger nails. Felt so nice to be pampered and prettified! I also adore having my nails done, I tend to opt for a manicure or a Shellac rather than a set of false nails, as my own nails are long & pretty strong. I always enjoy nail pampering as I used to bite my nails terribly! So having pretty nails is still a novelty for me. 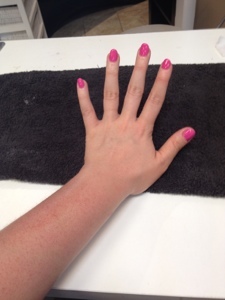 I went for a pretty bright pink varnish & by the time I left the salon I was feeling extremely summery! We spent the rest of the afternoon shopping & I found two awesome bargains! A stunning floral summer dress from Laura Ashley for £35 from £70 in the sale, and the most beautiful 50's style half bodice bra & matching knickers from Debenhams for £21 from £30. :-) Bargain central!!! The rest of the weekend was spent catching up with my aunt, uncle, brother, sister, mum, stepdad & cousin-at a party on sat night & a BBQ on Sunday! The weather was perfect, the food was scrummy & the Pimms was free flowing....absolute bliss!!! That was great! thanks for sharing this good information....very good job my friend.